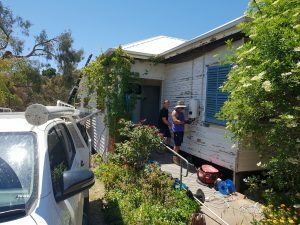 MASH – the campaign for More Australian Solar Homes – is a highly successful community solar bulk-buy for homes in Central Victoria. As of December 2018, over 1,200 households in the City of Greater Bendigo, Mount Alexander, Macedon Ranges and Hepburn Shires have chosen to go solar with MASH. Learn about the new round of MASH which kicked off in March 2019. MASH started in mid 2014 as a project of the not-for-profit Hub Foundation in Castlemaine, with the aim of doing something practical to help cut CO2 emissions. In April 2018, ownership and management of MASH was transferred – with the good wishes of the Hub Foundation – to the Central Victorian Greenhouse Alliance, a not-for-profit organisation based in Castlemaine that works across central and northern Victoria to support local government with climate change mitigation activities. MASH was recently recognised as an outstanding example of a community solar bulk-buy with an award from Environment Victoria. The MASH bulk-buy offers high quality solar PV systems and batteries, backed by solid warranties and installed according to best practice industry standards. It also provides great value, with competitive prices negotiated as part of the bulk-buy. The MASH supplier is selected through a competitive public tender process overseen by the Alternative Technology Association, ensuring that customers can trust the quality and value of what is being offered. What’s more, there’s a ‘give back’ to the community in the form of free solar for community groups, kindergartens or schools in the region – around 5kW for each 100 solar rooftops installed. The level of interest and uptake for solar through MASH has been fabulous. Householders, in particular, seem to really get what MASH stands for – a way of buying a high quality solar and batteries at discounted prices from a trusted source, where there’s also a benefit to the local community. Over 1,200 new solar rooftops. Over 5.7MW of installed solar power capacity (around 20,000 solar panels). Household electricity bills cut by $1M each year. CO2 emissions cut by more than 9,000 tonnes each year (equivalent to around 1800 cars off the road). Eight free solar systems donated to schools and buildings used by community groups – with a total of around $70,000 raised for free solar for community groups and schools through our bulk-buys. Local jobs – as of December 2018 we currently have three local installers working full-time as well as around 6 people working locally on a part-time basis to provide customer service, administration and project management support. “Hepburn Shire Council is pleased to be a partner of the Hepburn Solar Bulk-Buy program [the sister bulk-buy of MASH]. We are confident that the MASH organising team has done its homework thoroughly by going through a full public tender process to find the best possible solar suppliers with the best possible solar and battery systems. “We are proud to partner with MASH to grow residential solar in 2018. Council is pleased to be a partner of the MASH solar bulk-buy in the City of Greater Bendigo. We commend MASH to residents as it already has a track record of delivering high quality systems at competitive prices. Solar can help cut your power bills and, with MASH, there is a strong community benefit too – a free community solar system for every 100 Bendigo homes installed. "Council welcomes the MASH community solar bulk-buy in our Shire. Over 300 residents in Macedon Ranges have chosen to install a MASH system since November 2015. The program has been well-proven for its quality and value. "It also delivers a tangible benefit to our community in the form of free solar systems for community run buildings for every 100 homes installed. We encourage residents interested in solar, including battery storage, to take a look." "The uptake of MASH by households in Macedon Ranges is tremendous. We are pleased to continue our support of MASH as it enters this fourth exciting round which includes not only solar PV systems but also high quality battery storage at bulk-buy prices." "We encourage anyone interested in going solar – from a brand new system to adding storage to your existing array – to consider MASH. The program is delivering tangible benefits for the people of the Macedon Ranges, our community and the environment." "MASG is pleased to continue its support for the MASH solar bulk-buy as it enters its fourth round. MASH has proven to deliver high quality solar PV systems at competitive prices and has been responsible for a marked cut in CO2 emissions. "We recommend that anyone looking to go solar – or add battery storage to their existing system – considers what MASH has to offer." Is the CVGA (the organiser of MASH) making any money out of bulk-buy? The not-for-profit Central Victorian Greenhouse Alliance (CVGA) receives a small commission on each installation in order to make a contribution towards the costs of marketing and administration of the MASH project.